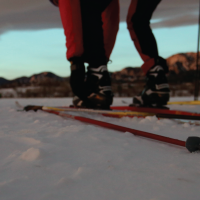 The Boulder Nordic Club has been granted a special use permit for Trail Grooming on approved corridors in the West Magnolia area from today’s date to April 1, 2019. “Trail Grooming” is a United States Forest Service phrase denoting that a partner entity, in this case the BNC, has been authorized to groom for human powered uses like skiing, fat biking, and snow shoeing. There is no guarantee of grooming nor any services and the USFS has no obligation to provide any such service. The BNC has approved its volunteer groomers to employ BNC equipment to perform one pilot demonstration groom of the West Magnolia area. This will take place as conditions and volunteer availability allow. It will be publicized via BNC electronic media, website, email, and social media. BNC grooming equipment is allowed in the area by authority of the special use permit. Otherwise, the area has restrictions on motor vehicles. Thank you to BNC members, supporters, and partners. In particular, thank you to the Boulder Ranger District, the Nederland Area Trails Organization, the Nederland Police and Fire Departments, Boulder County Sheriff’s Department, and other emergency responders. Thank you to our new partner CrossFit Sanitas! 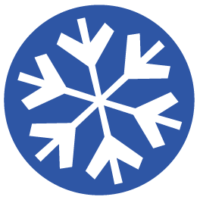 Live GPS Trail Reports for Winter 2015-16!